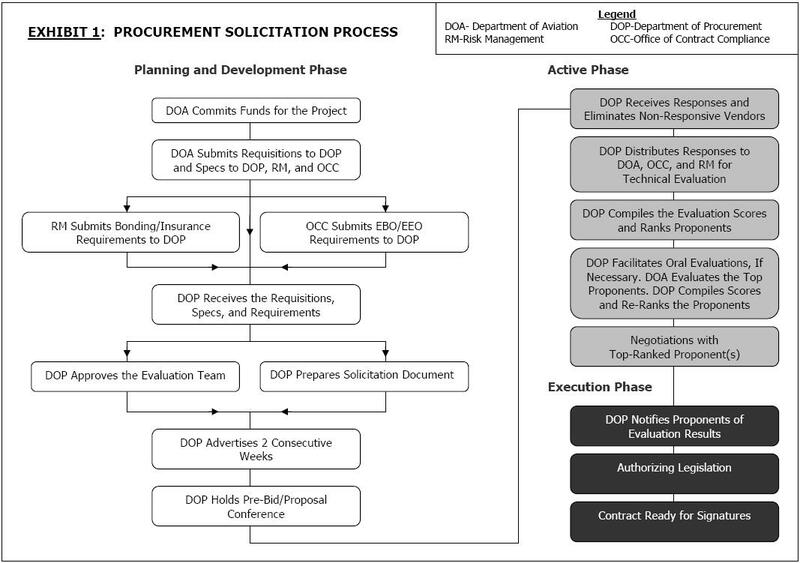 City officials identified procurement as a significant potential risk to accomplishing their objectives. We found the city's procurement ordinances and the Department of Procurement's procedures to be consistent with industry practices that are intended to ensure fair and open competition. We focused on aviation procurements because these represent a large proportion of the city's total contracting budget. Offer briefing meetings to vendors to answer questions and provide feedback before protests are files. Allow evaluators to discuss criteria during evaluations. Ensure evaluators are qualified, free from conflicts of interest, and understand evaluation criteria and procedures.